Matt Gibson will look to make the most of his pressure free role at the upcoming UCI track world championships after his surprise call up to the Great Britain team in Paris. The 18 year-old first year on GB’s Olympic Academy Programme will make his debut in senior GB colours as part of a seven strong men’s endurance squad. While providing valuable support in the team pursuit, Gibson says he is likely to ride the scratch race on February 19. “I seem to cope quite well in an environment where I’m not always expected to win, where I can give it everything I’ve got, and there’s not as much pressure,” he told Cycling Weekly. “I’d be more nervous going into a junior or U23 race now, where there’s more pressure to perform. Obviously there’s expectation [in Paris], but not as much, and of a different sort. 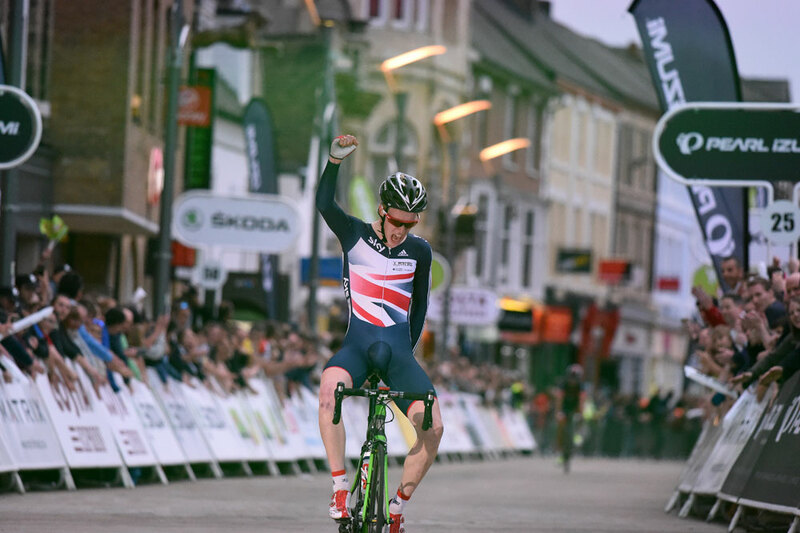 Gibson recently raced his first three senior road events at the Challenge Majorca but it was his performance in the team pursuit at the Cali round of this winter’s Track World Cup, where he was part of a young GB team that finished third in the event, that really impressed selectors. Great Britain’s recently appointed endurance coach, Heiko Salzwedel, explained to CW that Gibson’s selection will give him crucial experience of a major championships ahead of the Olympic year, where he could again form part of the team’s plans. “I saw the numbers, I know exactly what the riders achieved, and the numbers [in Cali] were very promising,” he said. Gibson and the GB squad arrived in Paris on Saturday, February 14, to familiarize themselves with the new track in St-Quentin-en-Yvelines ahead of the competition from February 18-21. Cycling Weekly will be keeping you up to date with all the latest news, analysis and photos from the UCI Track World Championships in Paris, while Heiko Salzwedel talks to CW about his return to Great Britain and the challenge of winning Olympic gold in the team pursuit in Rio in an exclusive interview in next week’s new look Cycling Weekly, out on February 19.